Hi everyone, so today is my last blog entry for the month of July!! YAY I DID IT!! I blogged everyday in the month of July so I kept my word! =) So today I have a beautiful lipstick to share with all of you and it shall be the first lipstick to be blog swatched on my lips so that’s pretty exciting hahah. Revlon ‘Fuschia’ – is a beautiful pink-fuschia with slight purple undertones creme lipstick, however it does deposit a slight gloss as you will see when swatched onto the lips. This is a permanent shade in their Colour Burst Line up but I have heard that they may discontinue this lipstick so if you have always wanted to try it out, now would be the best time to pick this bad boy up! 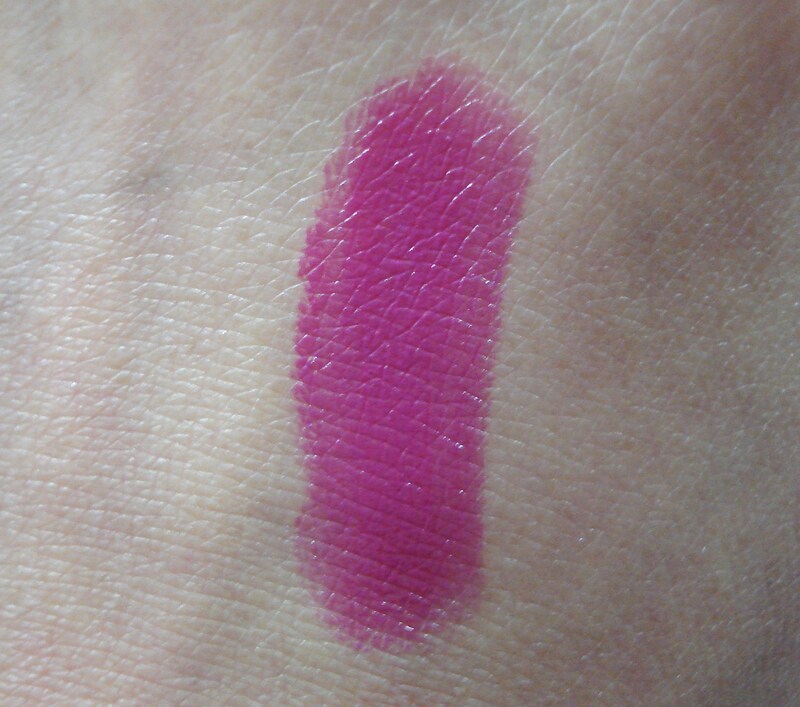 This lipstick is very pigmented, easy to wear, lasts quite a long time and has a slight gloss finish. It is also an almost exact dupe of MAC Girl About Town lipstick so if you have lusted after that lipstick for a long time, this would be an affordable dupe to add to your collection! It’s such a beautiful shade to wear year round, I love to wear it with floral dresses in Spring, sweaters in Fall and a little black dress in Winter! I am not wearing a lip line, just the lipstick on it’s own and this is only two swipes across the lips. I really adore this shade and while I lean towards wearing more coral based pinks, this is one blue-purple based pink that looks good on me. I highly recommend it for all skin tones and a definite drugstore gem! 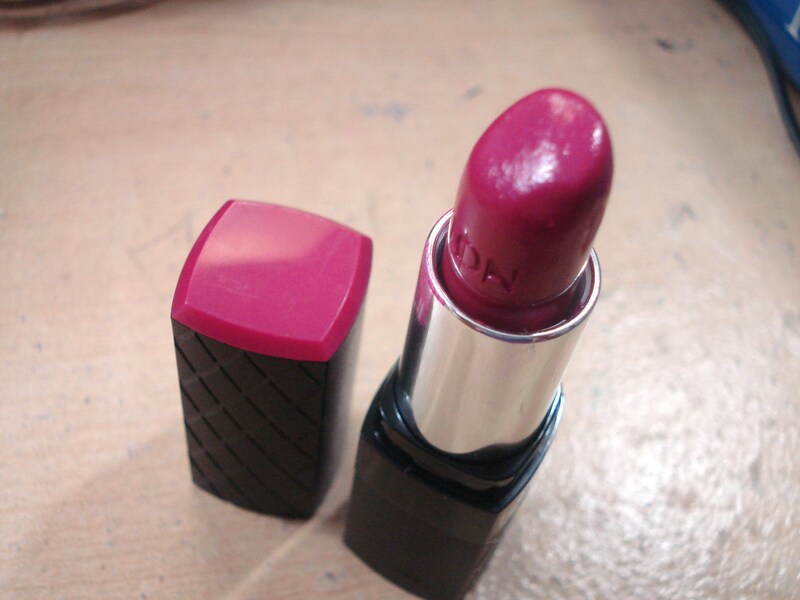 Revlon Colour Burst Lipstick ‘Fuschia’? What are your thoughts on this product? I really enjoyed your daily post in July. It gave me something good to read everyday. Please keep em coming! Also I love your youtube channel. I would like to see more of your thoughts about life, art, music and relationships, friends, family, or couples, really it could be anything you would like to share your opinions on. The wicked blog was great! Don’t get me wrong, I love your makeup and nail polish blogs/vlogs too. I just love everything you have to say lol I would like to see an updated skincare routine, I am a firm believer in origins, I use all Josie Maran makeup. Yet my skin is not as clear as I would like it to be. Hope to hear more from you soon!